Premier Prints Ace Blush Slub Canvas. 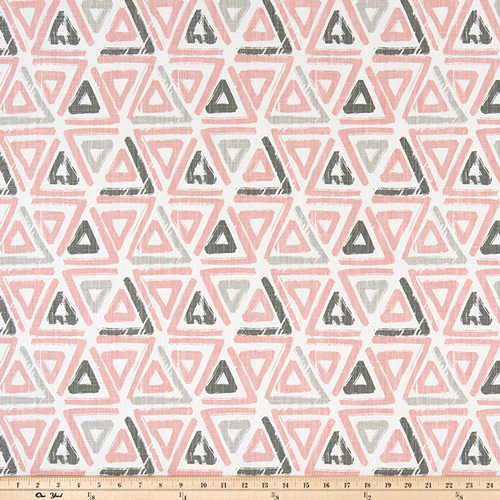 Contemporary triangle print. Colors are mauve pink, white and shades of gray. Medium weight fabric suitable for drapery, decorative pillow covers, headboards, handbags or light upholstery.